"These are currently our favourite compact, affordable floorstanding speakers." What Hi-Fi Sound & Vision magazine. 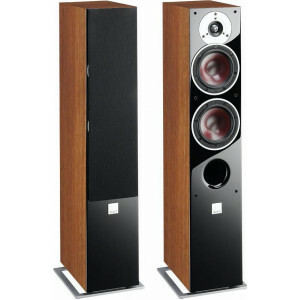 With drive unit technology you'd usually expect to find in more expensive speakers and Dali's typical high level of build quality, the Dali Zensor 5 floorstanders are hard to beat. The twin bass cones feature Dali's wood fibre construction that's usually only used in their more expensive designs. This lightweight yet rigid material helps give the Zensor 5 speakers a powerful, dynamic sound that's also refined and detailed. With there being twin woofers, you can also expect a pretty deep bass response and an expansive sound stage. Partnering these impressive bass units is a similarly high performing treble unit. Soft dome construction gives upper notes a smooth yet precise sound. 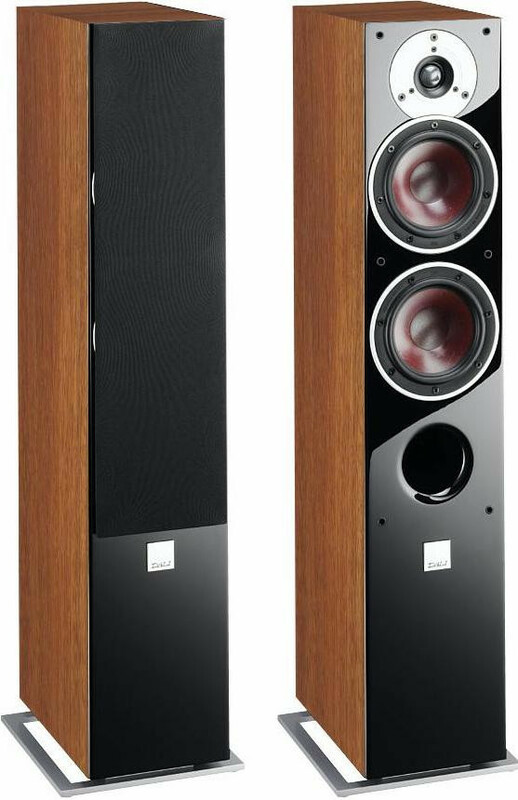 When taken as a whole the Zensor Five is simply one of the most realistic sounding floorstanders at its price point - without the excessive boom and wallow that can afflict some rivals. Yet, it's also punchy and deep, when required, too! As you'd expect from this high quality Danish brand, the Zensor 5's are also exceptionally well made. The solid cabinet has an attractive glossy front baffle, with recessed drive units for a smoother style. Contrasting with the light walnut cabinet are the aluminium supports which give the design a stylish edge whilst also performing a practical function of support.